Avaus Marketing Innovations, a fast growing Nordic marketing technology and services provider, is betting big on Nordic creative development by hiring Jari Ullakko as Chief Creative Officer. Ullakko will be in charge of setting up the new Avaus Pan-Nordic Creative Studio. 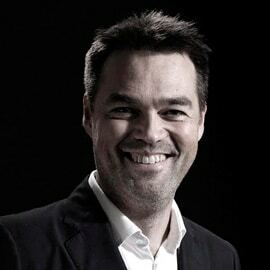 Jari has a long award-winning career as a Creative Director of Lowe Brindfors, Founding Partner of Swedish Grow and Chief Creative Officer of Finnish SEK & Grey. Ullakko says that while everyone is buzzing about martech data and content, up until recently very few agencies knew how to combine them to measurable business results. “Markets have become conversations, and I believe that during my years in top creative agencies in different markets I have learned a thing or two about how to create engaging stuff that people love for its own sake for the benefit of both themselves and the marketer”, says Ullakko. He is convinced that marketing today is primarily about initiating conversations that leave traces in the form of data. “Avaus has proprietary technologies and knowledge about harvesting the data, making sense of it and grinding insights out of it. My job is to build a creative collective to merge it with compelling brand actions and storytelling”, says Ullakko. Formally trained as an Industrial Designer, Ullakko has a 30-year experience in international brand building. He is a co-founder of brand agency Grow and has previously been a Partner and Creative Director of Lowe Brindfors. At SEK & Grey he has been playing an active part of Grey Europe creative development. His background and knowledge of Nordic markets and creative community is an obvious asset in developing Avaus’ Pan-Nordic Creative collective co-located in Stockholm and Helsinki. During his career, Ullakko has been in charge of award winning work for several major Nordic and international brands such as Audi, Saab Automobile, Scandinavian Airlines, Electrolux, Helly Hansen, Lexus Europe, Finnair and Fazer. Ullakko will start at Avaus on September 1st.